Description Warm air and water temperatures and offshore winds have persisted since fall. 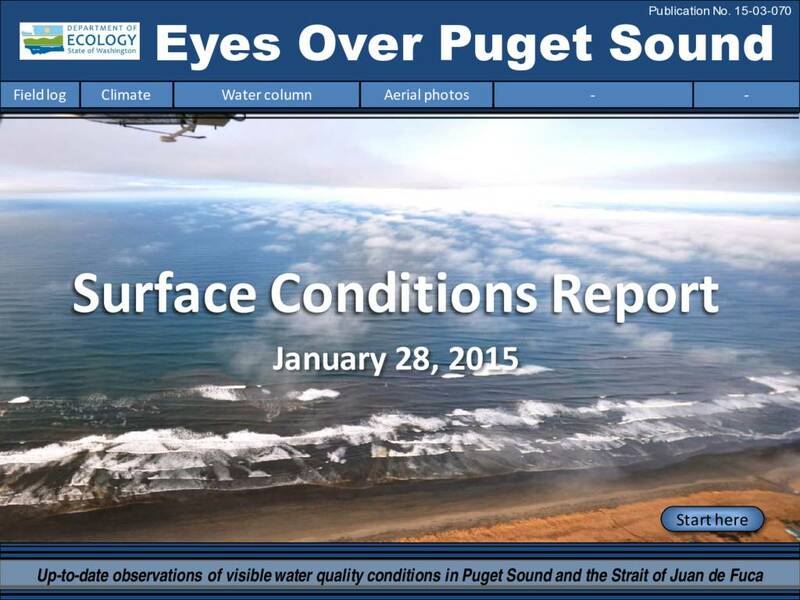 Numerous and sizable jelly fish patches are still present in southern inlets of Puget Sound. Coastal waters were colored in shades of gray to brown by sediment and humic substances. Phytoplankton blooms were restricted to the surf zone. We were treated to artful views of meandering sloughs and gullies on exposed mud flats during low tide in Willapa Bay, interspersed with the geometry of shellfish management. Brown pelicans: a story of recovery.